There are very few 58014 on ebay these days... hence it's hard to evaluate how much they're worth. There's one for sale at my track, it's pretty much complete minus the driver's head, and is dirty but in decent shape (wing is intact)... any idea how much this'd be worth? Thanks! That is a very nice looking car but i have no idea what it is worth and I know what you mean about TC not being the same anymore as it seems as know one is willing to respond or help anymore. The car is in incomplete used condition and worth about £70-£100 in my opinion for a private sale. If it was complete and with radio gear, perhaps £120 - £150, but it would need to be a very good example. I don't mean you and for that matter me, however, that is perhaps why the views. Don't assume the 41 views are collectors, enthusiasts, or even members. Yep. If it's one thing that I hate more than anything else it's yet another "what is this worth?" thread. IMHO of course. Normally I would say that people do help out here. Ahh I didn't realise that "what's it worth" question came from a TC member of some standing. I PM'ed Paul to appolgise. Thought it was another new guy looking to make $$$ out of us... my mistake. Useful info - thanks guys. i paid about 28 GBP off ebay for one of these, albeit over a year ago. 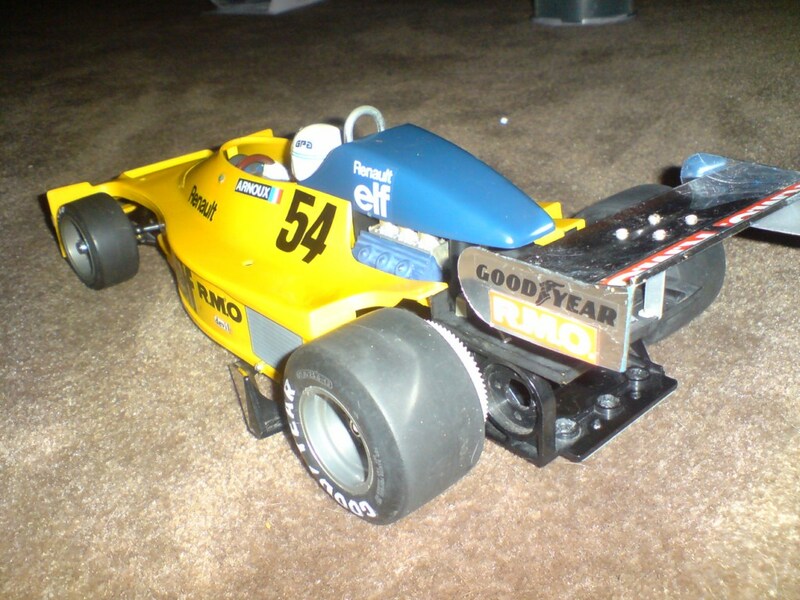 it's not an RM as in racing master car - was a pretty low end tamiya, in its day. personally i love them, and they look great! on a good day it could go for more on ebay, but never mega money. Even at £50 I think it would be a steal in all honesty, I would have to agree more with Paul (loaded) as £70- £100 being a fair price. 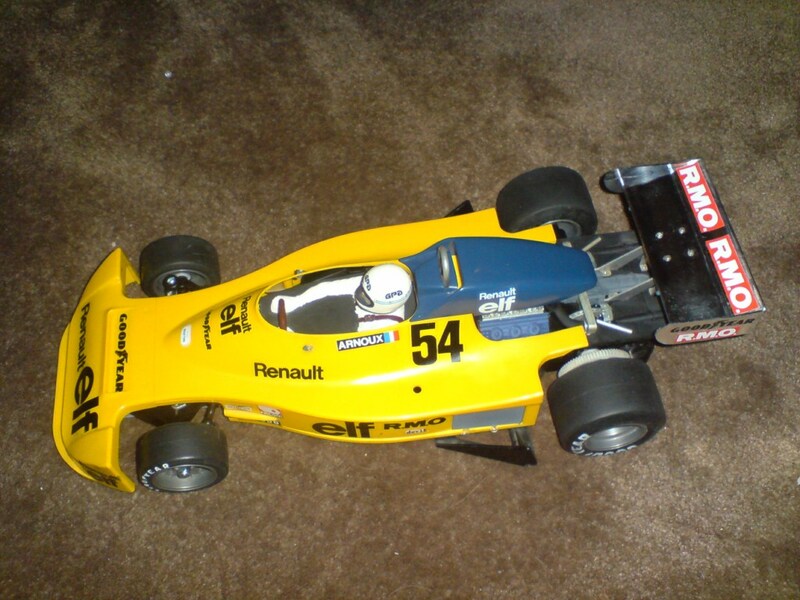 There are 3 stablemates, the BMW and the Ralt as well as this model. Some people also include the Honda, although personally I don't. Try searching some of these other ones on eBay as well to get some more ideas. i still stick with the offer the guy 50 bones idea, but be prepared to pay more, depending on how bad you want it. if he wants £150 GBP, wish him luck and leave it. unless, of course, you want it real bad! parts seem in good supply for these old F2 cars too. except the bodies!! if i was selling mine now, i would realistically expect about £75 for it, in all honesty. but i am not. it's not for sale! Surely its worth what you are prepared to pay for it based on how much it is worth to you? Assuming the seller agrees with your point of view and how much they wish to part company with it. To some people, these are models just for running and playing with, for others they are objects of desire to see restored or in a private collection. I don't think its always possible to put a price on these things. I've recently become hooked on WW M38's, SWB's in particular and have gone from owning one, (which I've restored now), to four in a fairly short space of time....so I have a lot of work to do. I paid vastly different sums for each of them if I'm honest, one costing double the least expensive one I bought. I appreciate everything has a worth of some sort, but if its something you really want and you're unlikely to find another then maybe its worth considering digging a little deeper in order to buy it. Once you've got it and are enjoying it even if its just looking at it, the price you paid will become insignificant. so lonestar, did you buy it?